The Porsche 911 GT2 RS is the top of the line 911 model. With 700 horsepower on tap the race car for the street can lap the Nürburgring faster than the Porsche 918 Spyder. To say it is fast is an understatement. The GT2 RS has a twin-turbocharged flat-six engine sitting in the back. The power plant is quite advanced and even uses water injection to keep things running smoothly at speed. The 911 is so fast that it took a Lamborghini Aventador SVJ with its V12 engine to lap the Nürburgring faster. When you consider the price difference, it is a supercar bargain. Sure it is great on the track, but what is it like on a normal drive? 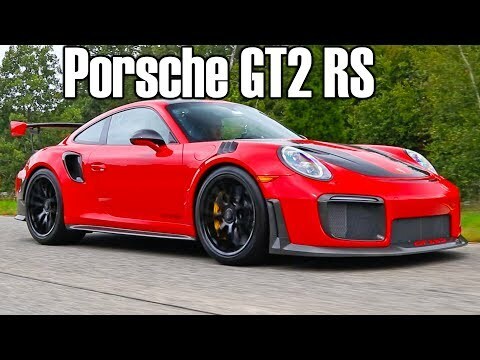 This video compares it to a new Porsche 911 Carrera 4S as well as the 911 GT3 RS. It is certainly a different beast than the Carrera 4S, but is it too track focused to enjoy the drive? Check out the video and then scroll down to the comments and let us know which 911 you would buy if money were no object.